Jo-Anne Richards is a South African novelist and journalist, whose work has been published internationally. She teaches creative writing through www.allaboutwritingcourses.com and lectures at Wits University in Johannesburg. Jo-Anne has written four highly acclaimed novels – The Innocence of Roast Chicken, Touching the Lighthouse, Sad at the Edges and My Brother’s Book. 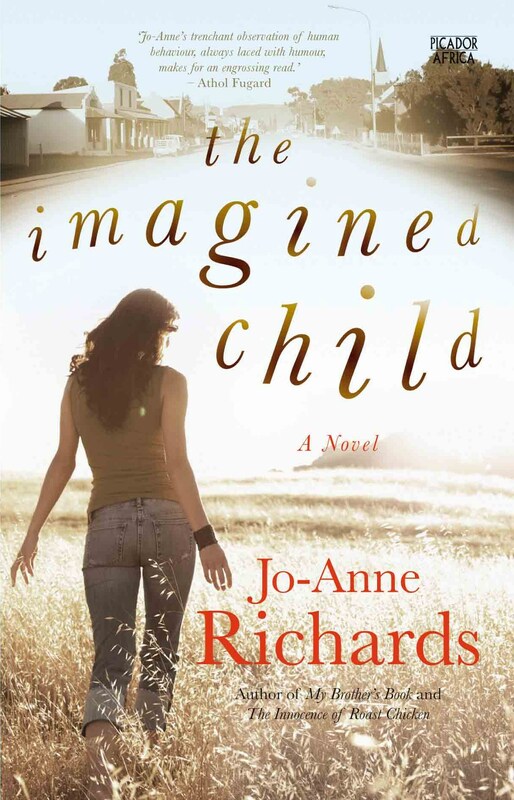 And this month her new book, The Imagined Child, will be released. Odette leaves Johannesburg to make a new start in Nagelaten, a small Free State town. A writer for a popular TV soap, she appears to be searching for a less complicated life. But others think she’s escaping – to a place where she knows no one and won’t have to share her secrets. Life in Nagelaten isn’t as simple as it seems. The town also holds secrets. Why do people insist there’s no crime, all evidence to the contrary? Who is the strange outcast, whom she feels sorry for, yet doesn’t quite trust? And why will no one tell her his story? Odette is caught up in two deaths – a baby in the United Kingdom whom her troubled daughter, Mandy, is suspected of killing, and a brutal farm murder. Both cause her ordered life to unravel, while a new friendship forces her to question the silences of Nagelaten. Events edge her towards the most courageous act of her life: facing the truth in order to save herself and her daughter. In this taut psychological mystery, Jo-Anne‘s trademark lyrical style is combined with tight suspense that will keep you guessing until the last page. 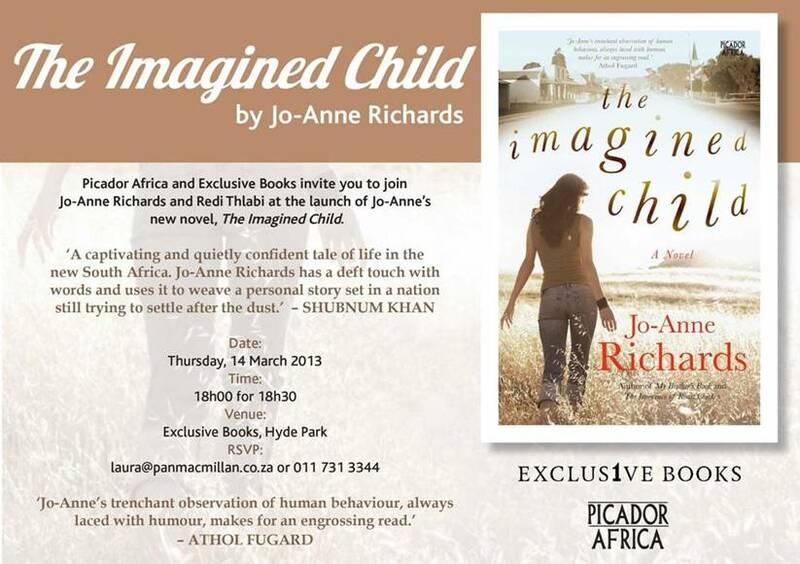 Picador Africa and Exclusive Books invite you to join Jo-Anne and Redi Thlabi at the launch of The Imagined Child. To find out more about Jo-Anne visit her website – click HERE.